Did you know a percentage of your Amazon purchases could be donated to your child's PTO? 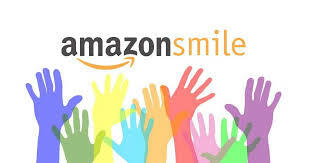 Go to smile.amazon.com and designate "Pomperaug Elementary School Pto Inc" as your chosen charity. As long as you remember to shop at smile.amazon.com, a portion of your purchases will be deposited directly to the PES PTO! It's easy money at no additional cost to you! Last year, we made $154.77, but there's huge potential to increase that number! For instructions on how to set up or change your charitable organization on amazon, please see here.